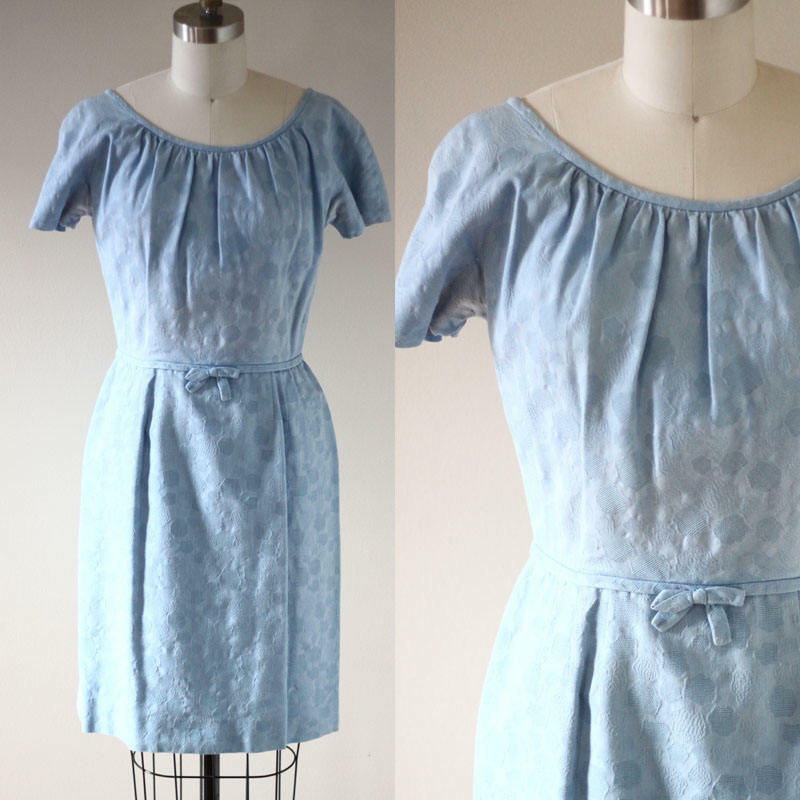 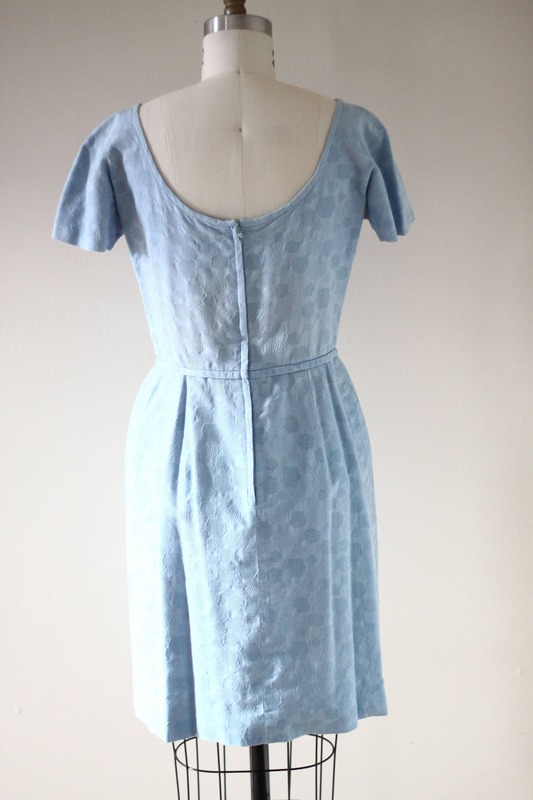 1960s light blue fitted dress with a textured circle print design throughout. 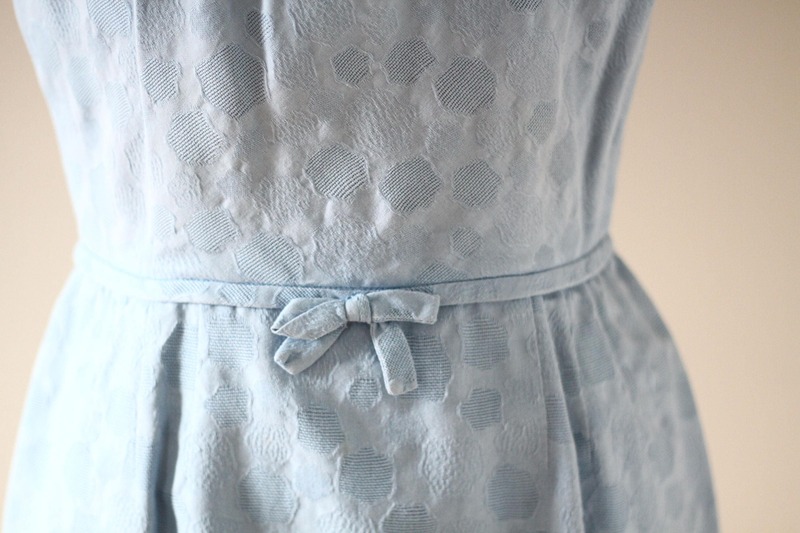 Defined waistline with a fabric bow adorning the front of the dress. 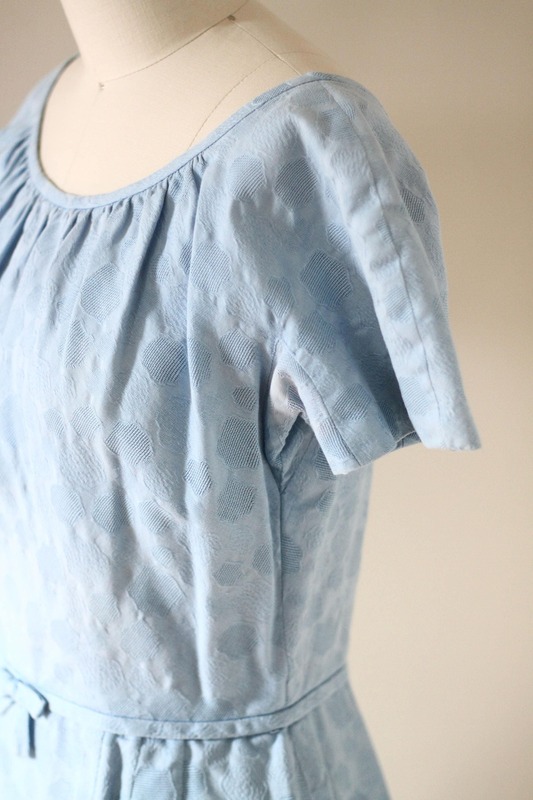 Short sleeves and a scoop neckline. 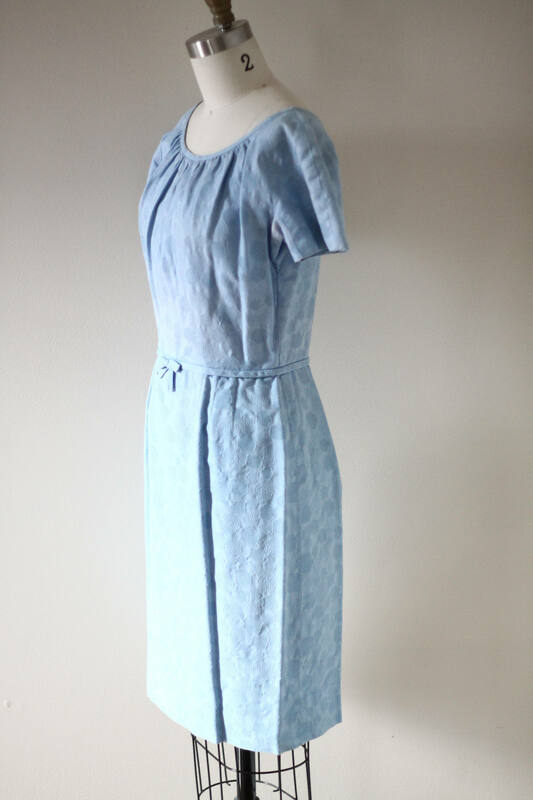 Slight pleating around the neckline. 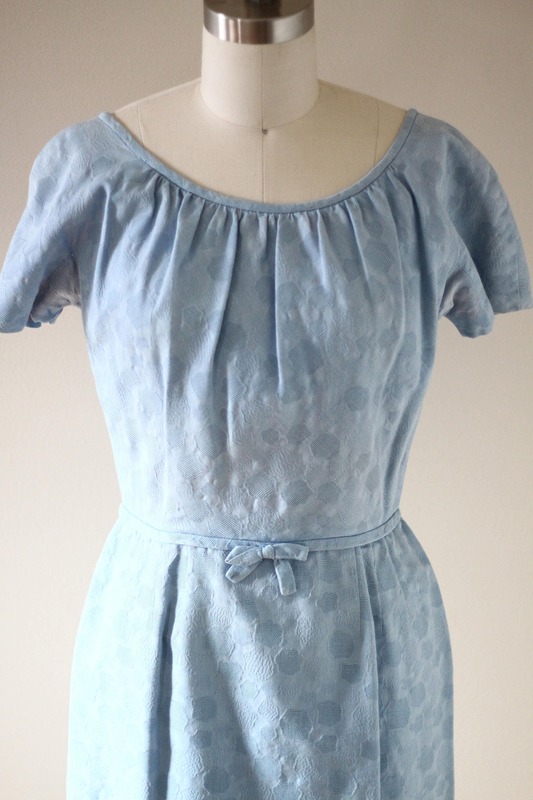 Zipper closure running up the back of the dress.